This is your opportunity to play the private Diamante Dunes course in Cabo San Lucas, Mexico! This is a golfer’s dream come true! Ironman Marketing is offering you the chance to tour Diamante and play the private Dunes Course, a prestigious links golf course located in Cabo San Lucas, Mexico. 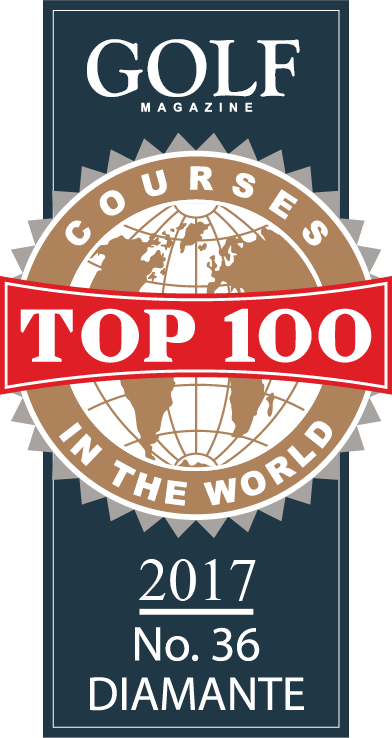 Ranked #36 in Golf Magazine’s Top 100 Courses in the World. Diamante is a private and fully-integrated Master Planned Resort Community located on the Pacific Coast in Cabo San Lucas, Mexico. It’s a diverse golf club environment with world-class resort golf courses, residential villas, a private residence club and beach-front home sites. Call 520-509-9040 or submit the form below to find out how you can play the private Diamante Dunes Course in Cabo San Lucas, Mexico. Find out how you can play the private Diamante Dunes golf course in Cabo San Lucas, Mexico.